Raleigh established City Cemetery in 1798, one of the earliest public burying grounds in the state. Narrow lanes divide the original four acres into segregated quadrants. 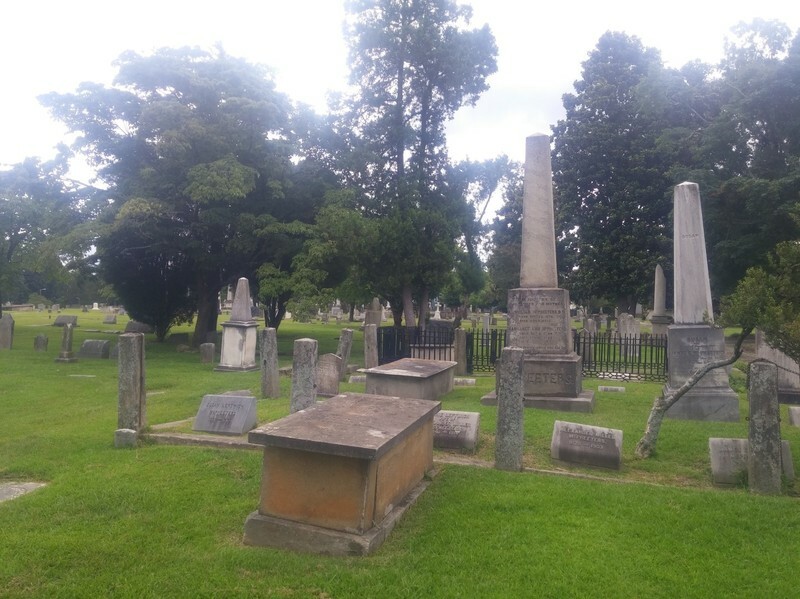 Graves for African Americans are in the southeast quadrant, for white citizens of Raleigh in the two north quadrants, and for “strangers,” or white non-Raleighites in the southwest. 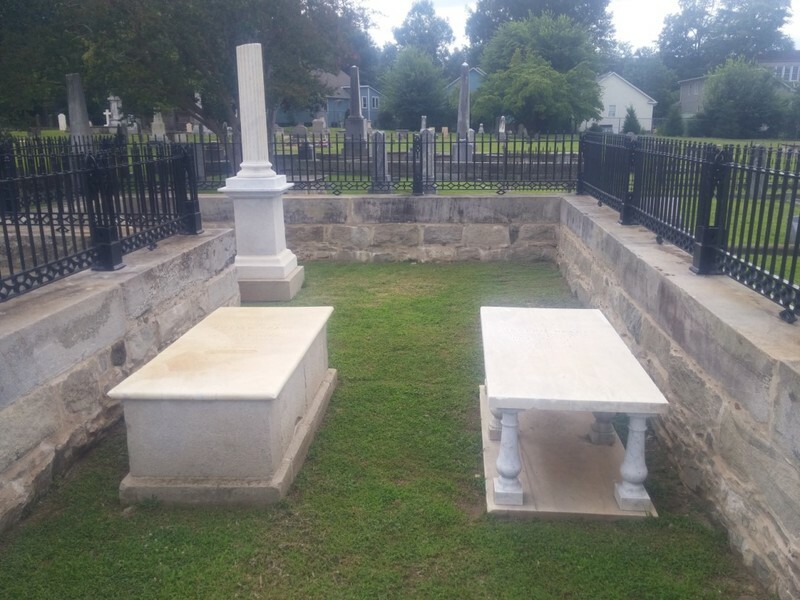 Within the quadrants, graves are arranged in family or associated groups delineated by fences, low masonry curbs, or granite posts marking just the corners. Notable in the strangers’ quadrant is the Stonecutters group for the highly skilled artisans who came to Raleigh in the 1830s to build the Neoclassical-style State Capitol. Neoclassical grave markers and the two mid-nineteenth-century mausoleums at the cemetery reflect the architectural and material influence of the Capitol. Expansions and upgrades changed the cemetery. The city relocated an 1850s cast-iron fence that had encircled Capitol Square, installing it here in 1898. Around the same time, granite cobblestones and cut-granite curbs were installed along the lanes. 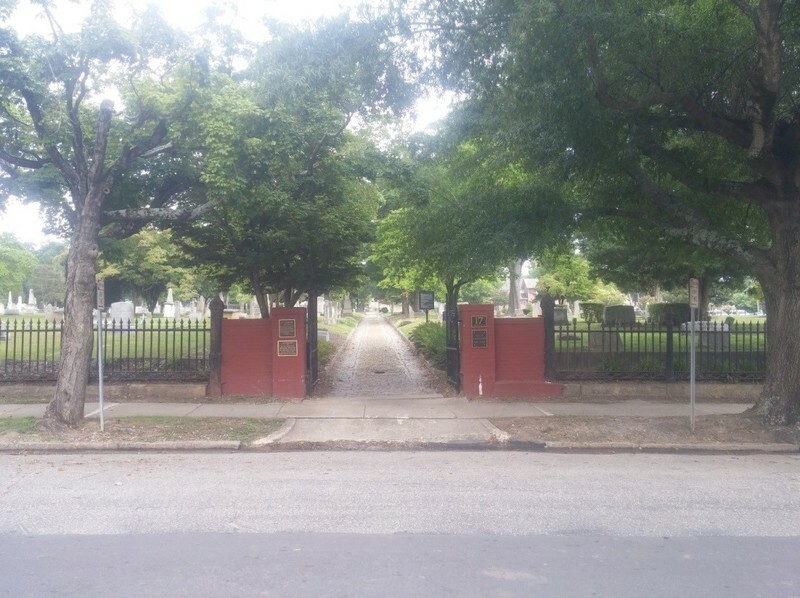 Two new municipal cemeteries, Oakwood for whites and Mount Hope for African Americans, opened in 1869 and 1872 as City Cemetery was nearing capacity. By 1900, all City Cemetery plots were sold. The death dates on markers in City Cemetery extend from 1795 through 2006. RHDC, “City Cemetery,” Raleigh Historic, accessed April 20, 2019, https://raleighhistoric.org/items/show/190.